Liverpool will hope to regain their spot atop the Premier League table when they travel to St. Mary’s on Friday to face relegation-threatened Southampton. Southampton have made some headway towards safety in the Premier League with a couple of important narrow wins on the trot; three in four matches. Their only defeat in the four matches was a 3-2 defeat to Manchester United while they did beat Tottenham 2-1 right after the United loss. The Saints are now five points away from the relegation zone and have a game in hand over the other teams in and around the same predicament. Liverpool have shown title winning form over the last three games. Not really playing their best brand of football, the Reds have still dug deep and come away with wins against the likes of Burnley, Fulham and Tottenham. Jurgen Klopp would be hoping lady luck (and Virgil Van Dijk’s colossal display) is there again, especially after the late Tottenham own-livergoal that handed them the three points at Anfield. The Reds will hope to return to their position atop the Premier League with a win over Southampton. Their last encounter at St. Mary’s ended in a 2-0 win for the visitors and the home crowd would hope for a better performance on Friday. Michael Obafemi is already sidelined for the Saints,. Jannik Vestergaard and Shane Long missed the narrow win over Brighton but are back in training and the latter might even be set to start on Friday, with Danny Ings ineligible to play against his parent club. Ralph Hasenhuttl should, in all fairness, keep almost the same starting eleven that prevailed over Brighton, which means we are set to see the 4-2-2-2 shape again, with James Ward-Prowse and Stuart Armstrong applying themselves behind the dual strikeforce of Nathan Redmond and Long. Angus Gunn will keep his spot in goal while 20-year-old Yan Valery is set to continue to reprise his role on the right side of the back four. 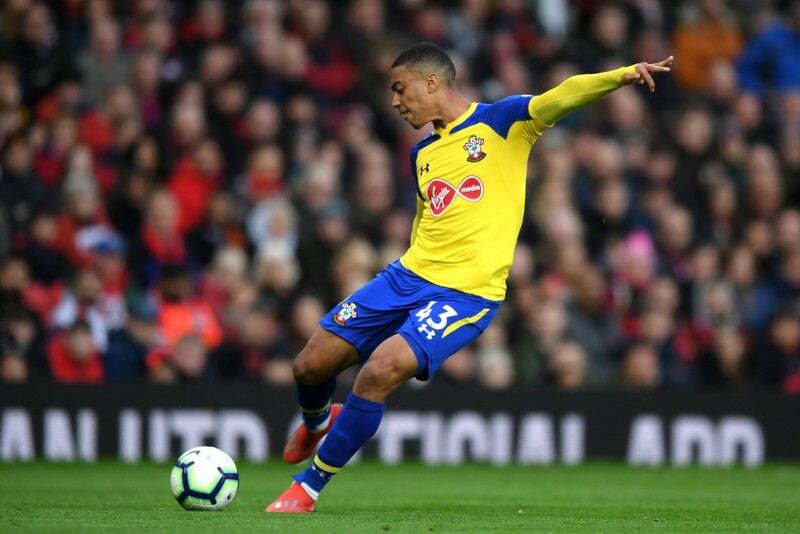 The youngster has done well to provide width in what is a narrow attacking formation and will be key to Saints’ success in breaking down or finding gaps in Liverpool’s defence. Virgil Van Dijk is a doubt to face his former club. But, Jurgen Klopp stated in his pre-match conference that the Dutchman is fit and raring to go to St. Mary’s, his former hunting ground and where he gained recognition as a quality centre-back. Other potential absentees include Joe Gomez and Alex Oxlade-Chamberlain, both of whom lack match fitness. The Reds cannot afford a slip up in the title race now and Klopp will look to field the best eleven, keeping in mind the need for rotation. Thus, we could see Fabinho and Naby Keita return to the midfield, with James Milner and Jordan Henderson likely to make way for the two summer arrivals. There should not be any changes elsewhere from Jurgen Klopp as he chases his first trophy as a Liverpool manager. 1. The last 3 encounters between Southampton and Liverpool at St. Mary’s in all competitions have produced a total of only 3 goals. 2. Southampton have won just 4 of their 15 home games in the Premier League so far. But, 3 of those 4 wins have come in their last 5 home encounters. 3. Liverpool have drawn 3 of their last 4 away Premier League games. 4. Liverpool have kept a clean sheet in 3 of their last 5 away league games. 5. Sadio Mane has scored 5 goals in his last 5 Premier League appearances. The 20-year-old has so far impressed for the Saints this season. But, facing a Liverpool side that need the win to avoid chasing Manchester City will be another task. Valery will be up against Sadio Mane but his main marker should be Andrew Robertson, who will dart forward at every opportunity in order to create space for the Senegalese to join the central attack. Valery would also need to cope with the interchangeability of the players across the Liverpool front three. A tough task ahead for the young Frenchman but he needs to be more than up for it. Ralph Hasenhuttl has been Southampton’s saviour this time around, with the former RB Leipzig manager working wonders at St. Mary’s since his appointment. That the home side now sit five points clear of the relegation zone is a credit to the work done by Hasenhuttl. One of the features of his selection has been the reliance on youth and academy graduates. Stuart Armstrong has really come into his own under the new manager and Valery has been impressive as well on the right. Liverpool will be a different beast altogether, especially with the Reds in the hunt for their first Premier League title. A half-fit Van Dijk is likely to be thrown into the starting eleven and we expect Southampton to look to exploit the opportunity. We are going for a hard fought point for the home side on Friday.